It’s not all about Bradley Wiggins and Chris Froome; this week sees some of Britain’s top junior racers represent their country in the world road championships junior road races and time trials. 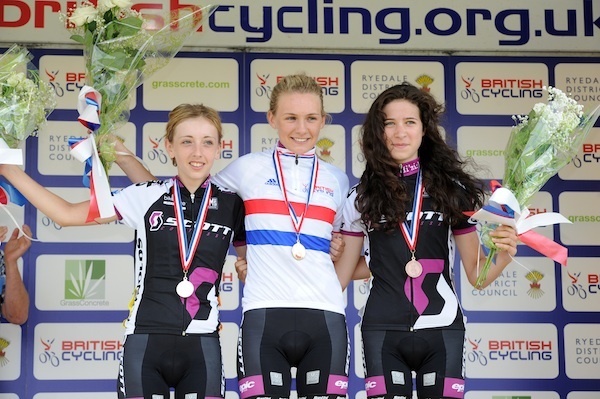 Great Britain has an enviable record in the junior ranks over the last decade or so, with Lucy Garner (who makes her senior worlds debut on Saturday) taking a rare double in the junior women’s road race in 2011 and 2012 after Nicole Cooke did the same in 2000 and 2001. Cooke also took gold in the junior women’s time trial in 2001 before 11 years later another Welsh youngster, Elinor Barker, added a rainbow jersey to her silver medal in Copenhagen in 2011. No riders were entered into the junior women’s time trial, with GB’s junior world champion team pursuit squad focussing on the national track championships in Manchester this week. However Britain’s chances in the remaining three events look like they could be better than ever. 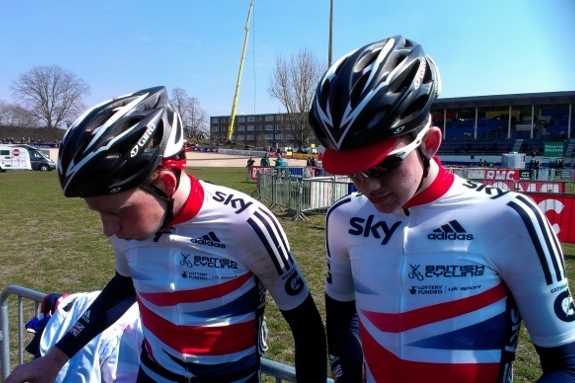 Cycling Weekly spoke to Great Britain’s junior endurance coach Matt Winston to get the lowdown on this year’s junior events, and who to look out for in Florence in 2013. First year junior Matt Gibson is the only Brit riding however the youngster from Cheshire has had an impressive season to date, taking fourth in the individual pursuit at the junior track world championships in Glasgow. Danish riders Mads Pedersen and Mathias Rask will be ones to watch in both the time trial and road race. Look out for French riders too, including Remi Cavagna. Junior women’s road race champion Anna Christian will line up alongside Beth Hayward, winner of the Essex Giro Two Day in July. With no junior women’s Nations Cup series, predicting which riders to look out for is no easy task. Cecilie Ludwig (Denmark) came second to Elinor Barker in the junior women’s time trial last year and will be one to watch, as well as riders from France, Australia, Russia and Italy. 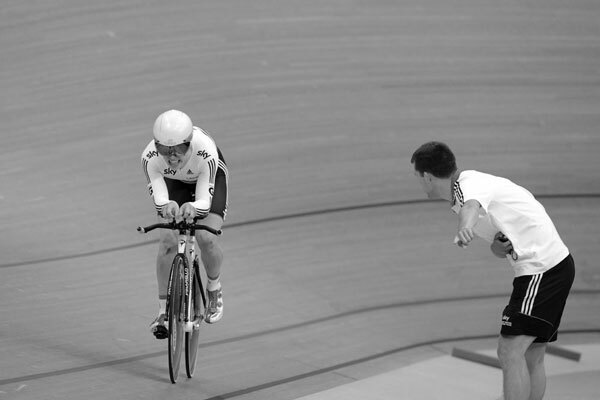 “At Copenhagen [in 2011] we knew Lucy Garner was good and we knew she had a good sprint but we didn’t know how she would be compared to everyone else. It’s a little bit the same to be honest. It’s a hilly course in Florence, but we just don’t know. “The race is going to be the hardest junior women’s bike race there has probably ever been. Its five laps of that [very hilly] circuit, which is the same for the elite women except for the rollout before it. Recent winner of the Giro della Lunigiana, Tao Geoghegan Hart will start as GB’s best prospect alongside Junior Tour of Wales winner Scott Davies. The pair will be supported by Matt Gibson and reigning junior hill climb champion James Knox, who will make his Great Britain debut. Besides the usual Danish threat of Mads Pedersen, Australia’s Robert Power and the USA’s Logan Owen are both expected to present strong challenges. Nevertheless Geoghegan Hart and Davies, with a string of top results all year, will both go into the race with a real chance of returning with a medal. “You could have ten riders or two riders, on that circuit it’s not going to make a massive difference. I’ve never seen a junior team ride like those boys did in Lunigiana, but the worlds road race is completely different, we wouldn’t look to control the race at all. “The early move isn’t going to be the move that wins, but you could lose it. It’s a case of keeping ourselves out of trouble.